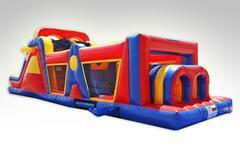 Get your team together and get ready to take the extreme challenge of one of SamInflatables.com awesome obstacle courses. 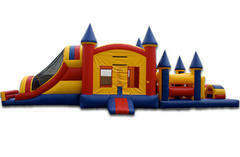 Your guests will be lining up to race through tunnels, navigate popup obstacles and logs, and then make the climb to the top of a super slide. Browse the selections below and click on the "More Info" link to see more information and to make a reservation.